Slanghoek Wine Cellar is proud to announce that its Slanghoek Legends Barrel Fermented Chenin Blanc 2016 has been named one of the country’s Top 10 Chenin Blancs in the annual Standard Bank Chenin Blanc Top 10 Challenge. The Standard Bank Chenin Blanc Top 10 Challenge is a well-respected competition which seeks to identify the best local Chenin Blancs, as judged by a panel of expert wine tasters, comprising of four local and one international wine judge. This year the judges, Cathy van Zyl MW (chair), Richard Kershaw MW, James Pietersen (Wine Cellar), Tinashe Nyamudoka (Test Kitchen) and Simon Field MW (UK), had to taste 159 submissions to determine this year’s top Chenin Blancs. The challenge drew 113 wooded and 46 unwooded entries, all tasted blind by the five-member panel, with 27 wines shortlisted for the final top ten line-up. Judges described the Slanghoek Legends Barrel Fermented Chenin Blanc as “charming and elegant” with a “jasmine delicacy on classy fresh orchard fruits, purposeful, well integrated and exceedingly long with deftly handled oak” – ultimately securing this wine as one of only five newcomers to claim a place among this year’s Top 10. Part of the Chenin revolution in the Breedekloof Wine Valley, the Slanghoek Legends Barrel Fermented Chenin Blanc is made from 29-year old vines and bottled as a member of the Breedekloof Makers collective, a group focused on producing, quality and terroir-specific Chenin Blanc. The Slanghoek Legends Barrel Fermented Chenin Blanc was also named the National Winner at the keenly contested Novare SA Terroir Wine Awards earlier this year, proving that this varietal has found its true home in this region, with a variety of soils and site-specific terroir lending itself to Chenin Blancs truly expressive of their particular corner of the Breedekloof. Taking its name from the valley in which it is grown, Slanghoek Legends Barrel Fermented Chenin Blanc, shows the cooler growing conditions which allow for even ripening and time for the grapes to develop the pure, polished and clean yellow fruit character, which is such a distinct marker of this wine. This is the first time the winery has been featured among the Top 10 in Chenin Blanc Challenge, and it is also the first time that a wine made exclusively from grapes grown in the Breedekloof Wine Valley has enjoyed similar recognition. Says Elaine Conradie, Slanghoek Winemaker: “Chenin Blanc represents 18% of all South Africa’s vineyards and the Breedekloof Wine Valley has 16% of all Chenin Blanc plantings and supplies 21% or one-fifth of all the wine made from Chenin in South Africa – to enjoy a position among the country’s top Chenin Blancs is therefore a phenomenal moment for us as a cellar team. 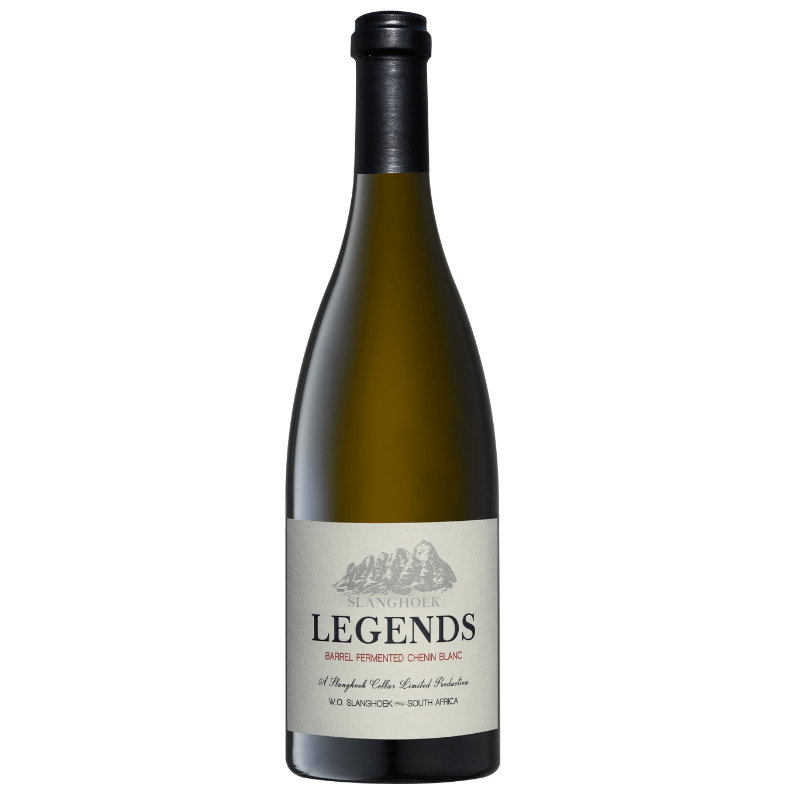 The Slanghoek Legends Barrel Fermented Chenin Blanc is produced in small quantities with 1000 bottles available. The wine can be purchased directly from Slanghoek Cellar or from their online shop at R196.00 – http://www.slanghoek.co.za/order.